Resident River Artist, Connie Garver’s been creating Art since childhood. She works in many mediums, including acrylic, watercolor, oil, colored pencil, paper cut, mixed media as well as stained glass. She says that “things from nature spark my greatest interest.” This focus gave rise to her “Animal Series”. Four of these are seen in the pic. A Sea Turtle as well as a Fox are available for purchase. 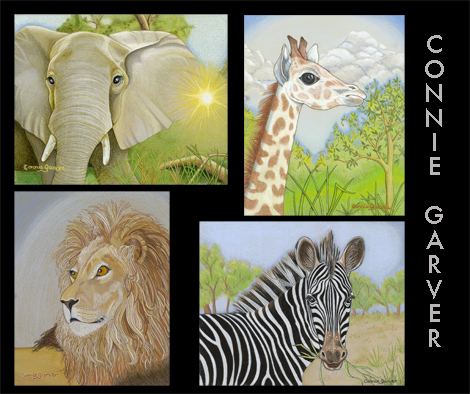 These wonderful works of art are available in 5″ by 7″ as well as 8″ by 10″ Giclee’ Prints. Note Cards with these images are also in stock. Come visit us at River to view Connie’s stunning work! This entry was posted in News and tagged animal, artisan, artist, buffalo, colored pencil, nature.